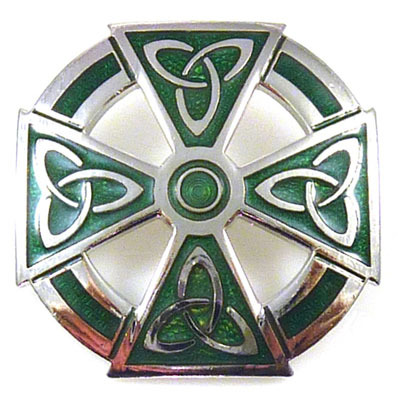 Round celtic trinity cross brooch, with green enamel finishing on a silver frame. Size: 3.2 cms. Available in other colours.